This is our latest product Grooved 6 Board Burr #2 made of our original plywood of Bubinga and European Beech. 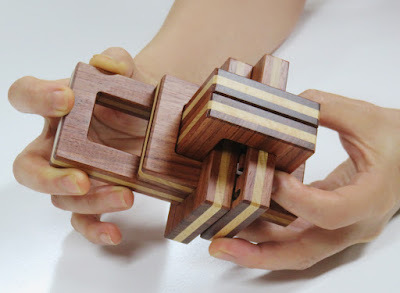 The puzzle has very smooth surface and good texture thanks to the character of Bubinga timber. 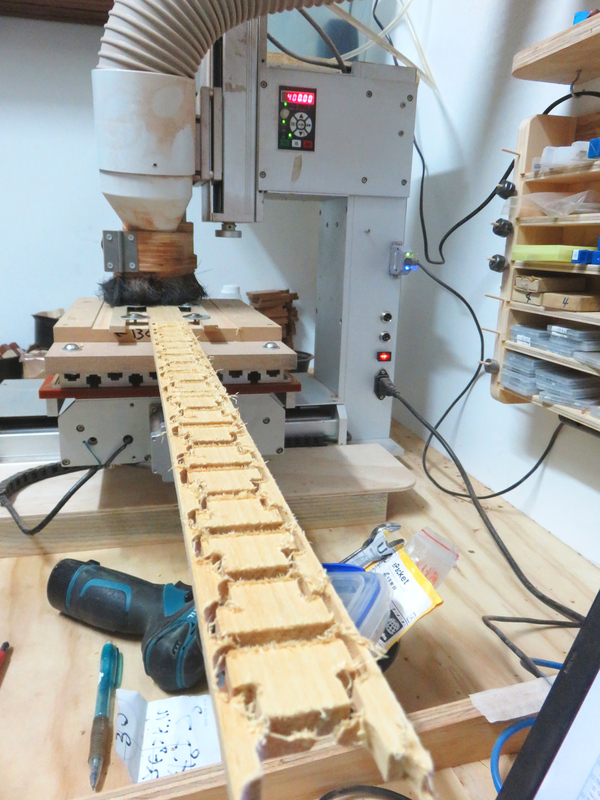 Although the puzzle is quite difficult, Juno says that #2 is ten or 100 times easier than Grooved 6 Board Burr #1. #1 has 4246 assemblies and #2 has only three. 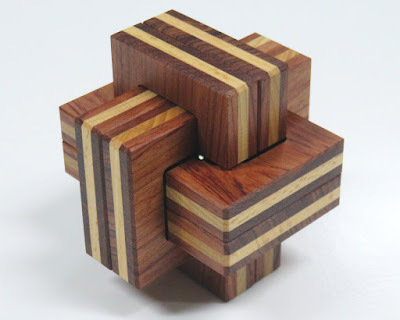 4246 divided by three is 1415.33 but calculation for difficulty of puzzles may not work like this. Juno already had vague ideas for different kinds of grooved board burrs when he designed #1. We now have #1 and #2, and Juno will try to design another variant of grooved board burrs when he has spare time. We initially planned to start selling a sequential discovery puzzle at the same time with Grooved 6 Board Burr #2. Although we have spent quite a long time producing the sequential discovery puzzle, it is still a long way from being finished. It may take another couple of months to be completed, or even more. Please be patient until they are ready to be sold. We will notify you by the newsletter when the time comes.